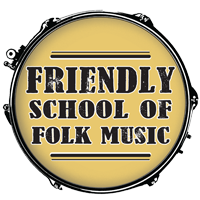 The Friendly School of Folk Music has been designated a safe space for singing your heart out. Join school program director Cathy Norden and her big pile of Carpenters, Bread, Seals and Crofts, Neil Diamond, and much more mellow gold for this free community jam! Open to all mellow instruments and voices.